Training – are your staff following best practices? While consulting with a client this week, I eavesdropped as one of the staff trained someone on a task. The trainer went through tasks in great detail and continued to coach the new staff person as she worked through the tasks throughout the day. The trainer was always available, offering advice and encouragement as the new staff person worked through her first 8 hours on the job. Not only was the new staff person impressive, but her trainer was superb. 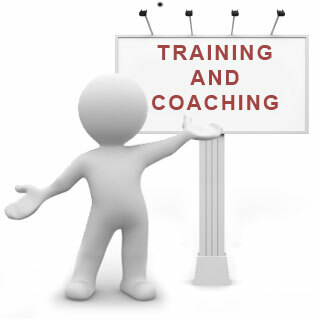 Staff of many non profit organisations do not properly train and coach new staff. Instead, organisations often times offer a bit of new hire orientation and then believe that intuition will guide the new staff person through their tasks. Other organisations make the assumption that current staff follows policies, procedures, and best practices and, therefore, they are best to train new staff. My experience is 80%+ of the organisations do not have policies and procedures in place and staff who train new hires are not following best practice themselves. Staff who have invented their own way of doing things are training new hires to follow their invented ways. Does your organisation have a policies and procedures manual for your fundraising department? Are staff who are training new hires following best practices and passing along solid practices from the start? Do you need assistance in your organisation to create policies and procedures to ensure all fundraising staff work in a best practice environment? At the end of the day, the staff who I observed were pleased with how the day went. It was refreshing to see a nice experience unfold in front of everyone’s eyes. The organisation I am speaking about is well served by the person who was conducting the training and by this new hire.